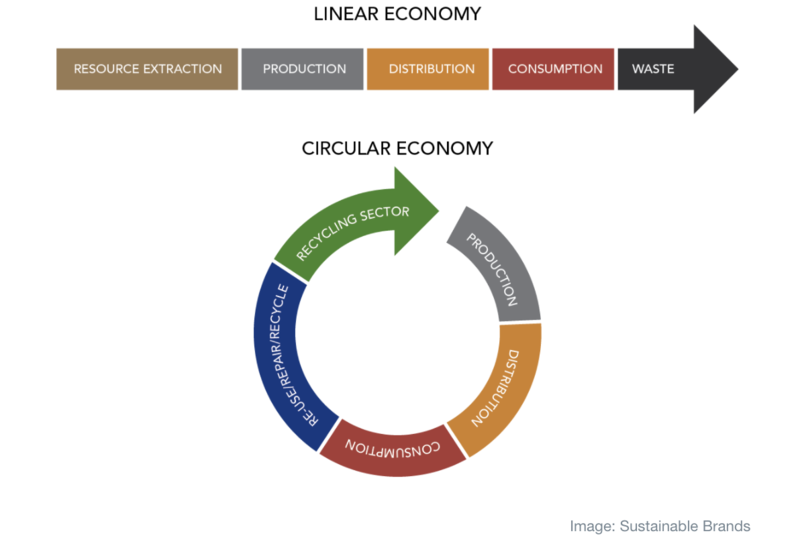 What is required to get a sustainable business model in the circular economy started? While there is now widespread support for ideas related to the circular economy, business experience in the trenches quickly makes clear how difficult it is to kick-start the much vaunted potential multi-trillion-dollar industry. More often than not, entrepreneurs learn the hard way that stakeholders - especially consumers - are just paying lip-service to the narrative of the circular economy. “It is all about the money … The only thing that matters is the money”, says Tom Szaky, a Princeton dropout and co-founder of TerraCycle, a company now turning waste into revenues in 20 countries. In his experience, the concept of the circular economy opens the door for discussions with corporations, retailers and policymakers. But altruistic motives never succeed as a selling point. Firms are genuinely interested in developing a green and sustainable corporate image but when all is said and done the “only motivator is money”. Caring about the environment is a side consideration at best. But is the experience of TerraCycle generalizable and pointing to a fundamental flaw in the circular economy? Most economic processes follow a linear flow paradigm where materials are extracted, transformed, utilized, and finally disposed. This model has come under pressure due to rising resource prices, massive increases in the global middle-class and related consumption ideals, as well as heightened environmental concerns. Academics, politicians, society in general and the World Economic Forum in particular call for circular economy approaches and solutions. The key insight behind this model is that waste is not waste but a resource. This view contrasts with the widespread and traditional view of waste as a non-good, useless and with a price lower than zero. 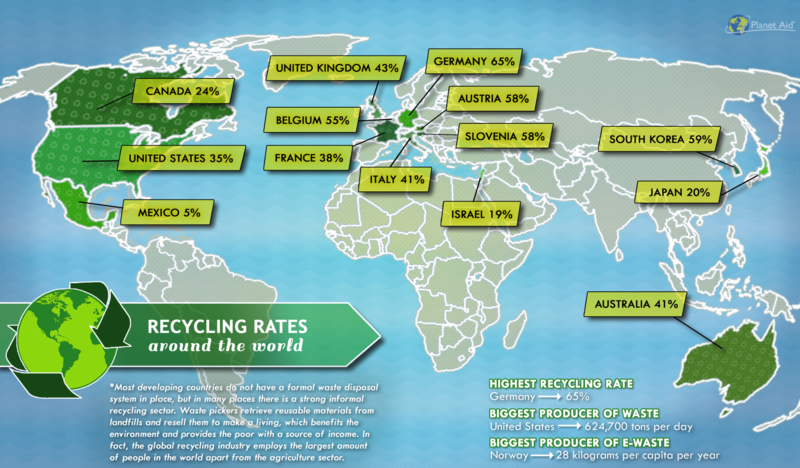 Most research, however, finds recycling rates to be still quite low for most materials (e.g. only about ten percent for plastic waste in the United States). What then are the barriers that prevent materials from being recycled? In the past, there were technical limitations to turn waste into resources. This is often no longer the case with today’s technology. Hence, the focus is on the economic incentives which motivate or demotivate stakeholders. First, to consumers the circular economy brings psychological and ethical value. Yet, despite the expressed willingness of many to be more environmentally friendly, in actual purchasing decisions most shoppers hesitate to pay more. Potentially, however, consumers can generate enough pressure to ignite the circular economy with their wallets. If companies win or lose market share because of consumer purchases (“votes”) in favour of sustainable products, producers would have an incentive to respond. Second, the producers of consumer goods typically describe themselves as open to the circular economy. The principle is that only if a circular economy project makes economic sense it stands a chance. However, most action is short term and premised on managers’ assumption that going ecological sacrifices margins. Recycling is perceived in risk terms: new regulation would require expensive compliance or costly lobbying to contain or rid regulation. The principle is that only if a circular economy project makes economic sense it stands a chance. In other words, the circular economy is evaluated from a traditional ROI perspective. Third, the public sector is often seen as provider of new regulation that is critical to ignite the circular economy. Much like changing consumer behavior, regulation and associated costs of non-compliance can pressure producers to reduce waste. Fourth, recycling businesses supply the technical solutions and factories where actual waste recycling happens. The cost of the delivered input materials plus their recycling process must be less than the sales price of outputs, that is products made of recycled materials. Finally, waste collectors are an essential element of the circular economy value chain. There are already numerous platforms established for consumers to drop off used products like car seats or cosmetics. Often retailers offer such services as they are aiming for foot traffic in their locations. Being perceived as more environmental friendly can also increase sales. Being aware of the multitude of stakeholders, integrative thinking is necessary for any start-up to make the circular economy work. Businesswise, the key question is how to create incentives for all, or some of them to participate. We explore this challenge in a specific case from Amsterdam. Tom Szaky launched TerraCycle from his Princeton college dorm room in 2001. His goal was to turn waste into money. By 2017, the firm had scaled and provided waste solutions for basically anything from pet food bags, pens, contact lenses to “non-recyclables” like spent cigarettes. Yet, in one area success proved hard to come by: soiled diapers. While not being on everyone’s radar, diapers are a big problem, filling up over two percent of American landfills and taking centuries to biodegrade. In 2012, TerraCycle developed a technical solution to turn used diapers into recycled products. But the fundamental problem is one of economic incentives. In 2018, Amsterdam will host an innovative large-scale diaper recycling initiative which also shows how monetizing recycling is by no means simple. To tackle diaper recycling, there is a helpful framework based on a simple formula, which also explains why the circular economy is not on a roll. TerraCycle is taking care of the left-hand side of the inequality by minimizing the cost of collecting and processing waste. But to make the whole undertaking economically profitable, the firm has to add something: the proverbial “X”, to the right-hand side of the inequality. In Amsterdam, TerraCycle must ensure that all stakeholders of the recycling business model are duly coordinated. Used diapers are available in large quantities. But how to incentivize parents to bring diapers to recycling bins at collection points? TerraCycle has developed two models to address hesitant customers: a basic model with smart bins located across the city at retail stores and nurseries is complemented by a premium model in which TerraCycle delivers new diapers directly to consumers while picking up the dirty ones, all in one go every two weeks. Consumers, however, are disinclined to pay more for recyclable diapers and their price elasticity is not expected to change in the near future. Assuming the new options incentivize parents to recycle, who pays for the system? As collectors of used diapers, retail shops are not willing to pay for the collection bins but agreed to provide space. The public sector, the city of Amsterdam, did not provide funding but was generally very positive about the project. In addition, introducing a diaper tax was discussed. The producers of diapers might be convinced that their market share will increase due to involvement in the initiative. In terms of the actual recycling of the used diapers, TerraCycle developed new products made from diapers such as park benches. This raised the value of recovered materials. Who then adds the “X” for diapers in Amsterdam to ignite the circular economy? TerraCycle’s solution focuses on a top multinational’s best-selling brand. In exchange for providing the “X”, the following benefits are expected: gains in market share, higher brand loyalty, new customers as nurseries typically buy a single brand of diapers, reduced risk of negative shocks from new regulation (diaper tax), communication value and an improved public image on sustainability. All these combined make diaper recycling a positive ROI project for the corporation. What lessons can be learnt from this example? It is difficult to provide a precise business model for success in the circular economy. As Tom Szaky puts it in his book, Revolution in a Bottle, and told us, you cannot study to be an entrepreneur, you learn by fire. This contribution is based on “Forget Altruism! TerraCycle's Diaper Venture to Monetize the Circular Economy’s Dirtiest” developed in the context of the Forum’s Global Future Council for Consumption by Tomas Casas and Stefan Legge and was published by The Case Centre in November 2017.